Level Crossing Brewing Company began taking shape with friends conversing over drinks on the porch. Owner Mark Medura and Sales & Marketing Manager Katie Flanagan are longtime friends and former teammates from High West Distillery. 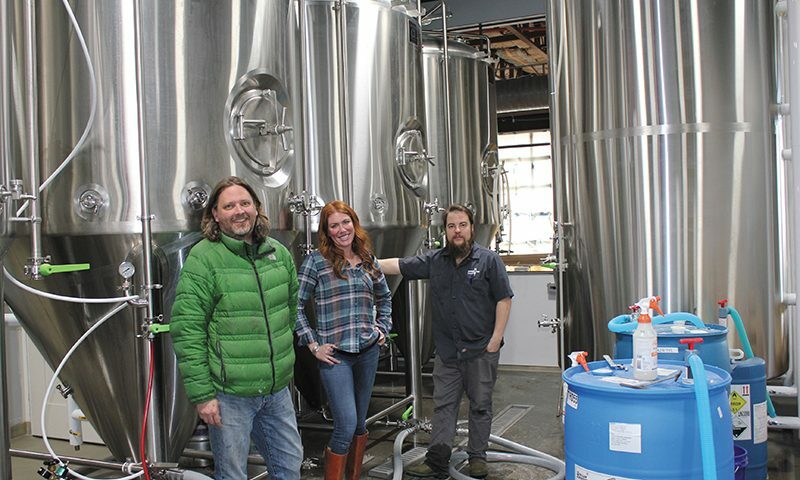 Methodical in their approach, now these two genius minds have crossed over as the creators of Level Crossing Brewing Company, Utah’s newest brewpub in South Salt Lake. But why go from whiskey to beer? “I always had a passion for brewing and beer in general. I left High West—it was sold—and it gave me the opportunity to do whatever I wanted to do for my career, or for the rest of my life,” Medura says as he reflects on some of the early conversations about post-retirement plans. Flanagan and Medura would converse about their aspirations. “Mark and I were always friends, and we had this lull in both my job/his job,” she says. “We started drinking on the porch and hearing about goals in life. All of a sudden, those porch visits were every month, then it was like, once a week.” Finally, the two got a plan in place and started to execute. “It always kept coming back to ‘Let’s start a brewery,’” Medura says. There are significant challenges to starting up a new brewery. “The biggest hurdle was finding a building. A place that was big enough, ceilings that were tall enough, parking available,” Flanagan says. “Salt Lake has a very aggressive market, so that took a while.” The duo is like-minded in what they envisioned. Medura says, “There were a lot of factors that I wanted, personally, in the building.” The team has a structure near the iconic water tower that fits all of the essentials and non-negotiables. There are other important factors to a brewery, and one is, without a doubt, the beer. “You’ve got to have great liquid in this industry,” says Medura. “If you don’t have ‘good’ liquid, you’re not going to make it.” Next was the quest to find the perfect brewmaster to deliver great beer to the people. Though Medura was a home brewer who had achieved a good enough skill level to make tasty brews, he knew he had to find someone else for the role. Meeting Medura through a mutual friend, Head Brewer Chris Detrick entered the fray. Detrick, with an accomplished home-brewing career on a solid brewing system, was able to share several of his personal recipes. “We got together, he tasted some of my beers—I liked his plan,” he says. “I started working on it ever since.” And there it was—Detrick left his long-term job as a photographer at the Salt Lake Tribune to fulfill this passion. During this newfound journey, Detrick wasn’t alone. 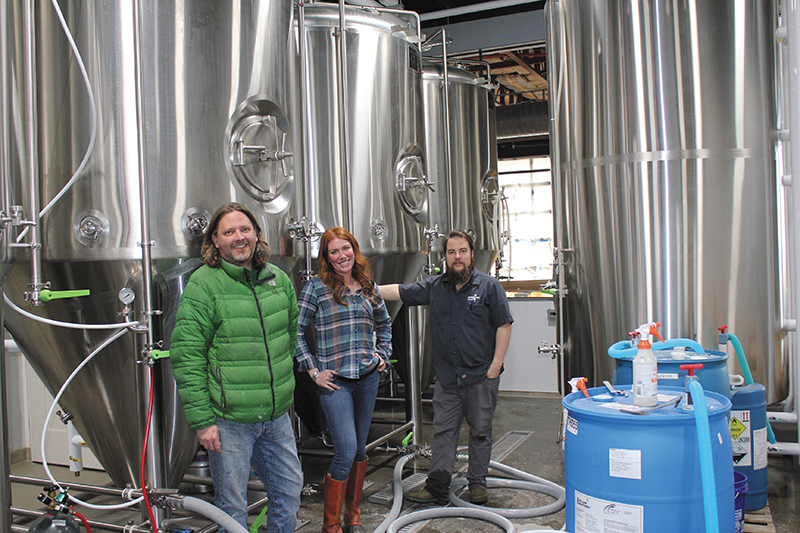 The local craft beer scene stepped up to offer solid guidance as he took over the reins of the brand-new, 15-barrel brewhouse. Detrick seems quite collected for his first professional brewing gig. Regarding the difficulty of jumping to a professional system, he says, “It’s a learning curve, but fundamentally, it’s all the same processes.” Though he plans to bring a lot of new recipes, he is excited to share a couple beers he has been brewing for a long time. The first beer brewed on the new system was the Amber. (This is also, coincidentally, the first style both Detrick and Medura each brewed at home.) In addition to the Amber, you can find three other beers on tap. American Wheat, Oat Pale Ale and the You-Tah Uncommon. Higher-point beers Dallas Alice (a Blonde Ale) and Detrick’s longstanding brew from way back, Suss it Out (Rye IPA), will be available in tallboy aluminum cans. The taproom is top-notch, and once the dining is dialed in, LCBC plans to unveil another crowd-pleaser: a wood-fired pizza oven to cook up homemade pizza-dough recipes made with their own spent grain. For now, sandwiches and salads with fresh beer can be enjoyed while taking in the entertainment coming from a stage on the flatbed of a Chevy truck. Level Crossing Brewing Company seems to be the perfect moniker for one of Utah’s newest craft beer establishments. A level crossing is an intersection where a railway line crosses a road or path. Born out of a lot of time spent together with friends, reflection on goals and personal strife, the crossing of the paths of these three different partners just works. We welcome this strength and union, as they will make for a longstanding brewery.